By registering with e-statement facility for your SBI account, you can receive a monthly statement of your account at your email address. You can see all the transactions activities which you have done in the month, in your e-statement. Generally, when we have to see the activity of our account, we go to the bank and print the transaction history in our passbook through the passbook printing machine. But if you receive a monthly e-statement on your email address every month, you do not need to print a passbook frequently and neither need to go to the bank. You can also use E-statement in places where you ask for bank account details. If you have SBI Internet Banking then you can register for E-statement and you can get your Bank account statement at your Email Id. 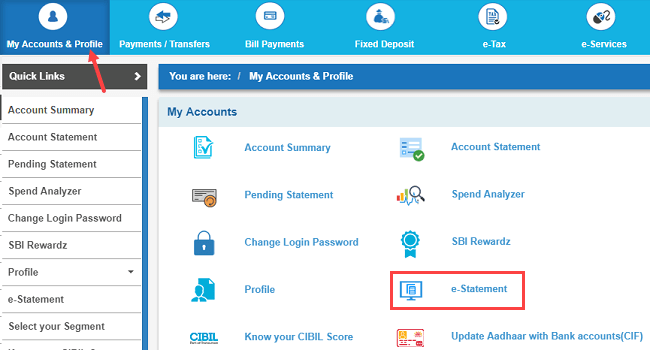 How to register for E-statement in SBI? 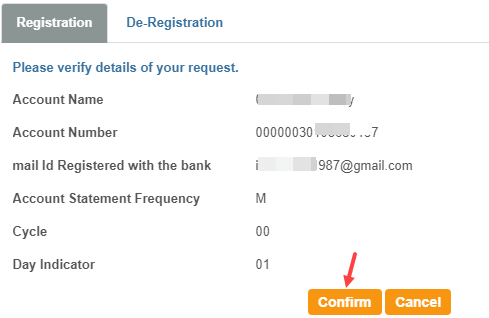 If your email address is not registered with your account, then first you have to register your email address. After registering your email ID, now you can subscribe e-statement facility to receive a monthly statement on email inbox. To register for an E-statement, first log in to your Net Banking account. Next screen, you can register for e-statement, select your Account number and select preferred time. In Frequency you can select options like Daily, weekly, Monthly, if you want to receive your Statement every month, then select Monthly. 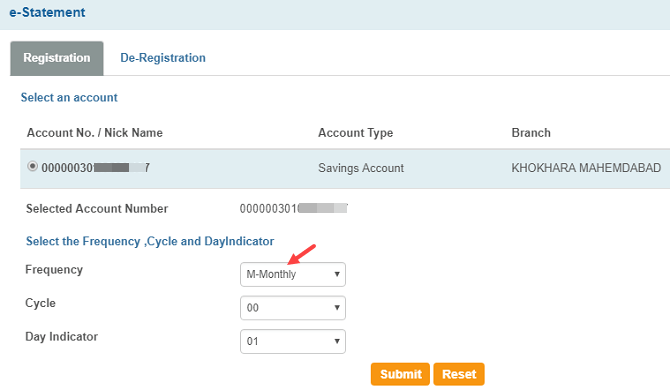 In Day Indicator, select the date of the month that you want to receive an e-statement. Click Confirm on the next screen and submit your request. That’s it You have successfully registered for e-statement for your SBI account. You will receive your bank statement on a selected date at your mailbox.